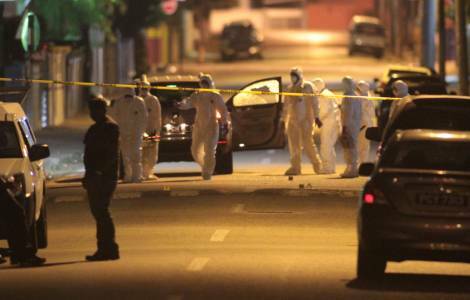 Port of Spain (Agenzia Fides) - "There is a lot of anger in the country along with an excessive amount of drugs and weapons which are easily available": This is the concern of the Archbishop of Port of Spain, His Exc. Mgr. Joseph Harris , who together with Anglican Bishop Rev. Claude Berkley and Rev. Daniel Teelucksingh, of the Presbyterian Church, denounced the social ills and the spiral of killings that affects the community of Trinidad and Tobago. "A murder is already very serious, therefore more than 400 murders is a terrible fact. We cannot live like this" denounced Mgr. Harris yesterday, December 27, after the publication of the report of The National Joint Action Committee (NJAC) informing of the more than 400 murders and more than 100 road deaths. It seems that Trinidad and Tobago is "walking in darkness" and is still waiting to see the light of Jesus Christ because there is violence every day. "The message of the Scriptures is that the people who walked in darkness saw a great light. We, however, seem that we are still in the dark and we do not see the light of Jesus Christ. We have tried all kinds of 'isms' ... communism, socialism, capitalism but no one helps us in the way of life. We must move away from these 'isms' and look for Christianity", urged Mgr. Harris.